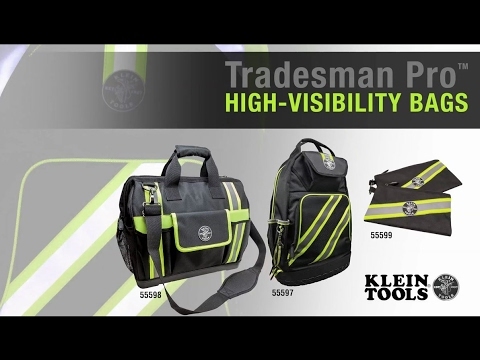 Keep your hands free and your tools organized and easily accessible with the new Tradesman Pro™ Tool Bag. The high-visibility interiors make it easy to find small parts and tools; the outer reflective strips create greater visibility in low light conditions. Does not conform to ANSI-ISEA 107-2015 High Visibility Safety Apparel and Accessories standard.